The pollination role that insects play is crucial to the balance of an ecosystem. The production of seeds, nuts, vegetables and fruits hinge greatly upon them. Bees are the stars however, with pollination rates 20 to 30 times higher than that of other insects, and the domesticated honeybee is chief among them. But during recent years, the global bee population has decreased, mainly in Europe and the United States, as a result of Colony Collapse Disorder (CCD) — a phenomenon in which worker bees abruptly disappear from a honeybee hive or colony, leaving the queen bee behind but no dead adults. Some controversy surrounds the root of this disorder, with many scientists theorising that there are a combination of factors. The topic is hot not just because it impacts global honey prices, but because it leads to serious food security worry over the loss of these crucial agricultural actors. Latin America is a region that hosts significant environmental richness. Six countries in this geographical area (Brazil, Colombia, Ecuador, Mexico, Peru and Venezuela) are members of the group of countries deemed as containing “megadiversity” and represent 35% of the 17 countries so named. The continent also holds 70% of the mammals, birds, reptiles, amphibians, plants and insects species existent on Earth. As yet, no effects of CCD have been detected in Latin America, however the region has faced a gradual reduction in bee numbers. According to experts, the main reasons for this population decline are the loss of natural vegetation and the increase of fertilizers and agrochemicals used on the plants that provide food for the bees. Apis mellifera, also known as the Western or European honeybee, is the species most widely used for beekeeping. Indigenous to Africa, Europe and the Middle East, it was introduced to the Americas, Australasia and much of the rest of the world. Today, Argentina, China and Mexico have the world’s largest honey industries, and all are based on the introduced Western honeybee. Beekeeping benefits more than 41,000 producers in Mexico, where there are about 2 million beehives and honey exports attract average revenues of US $56 million per year. The two main production corridors are the Yucatan Peninsula and the states of Chiapas, Veracruz and Guerrero. Many indigenous communities work in the beekeeping field and some of them still cultivate and harvest honey using pre-Hispanic techniques, such as clay pots. 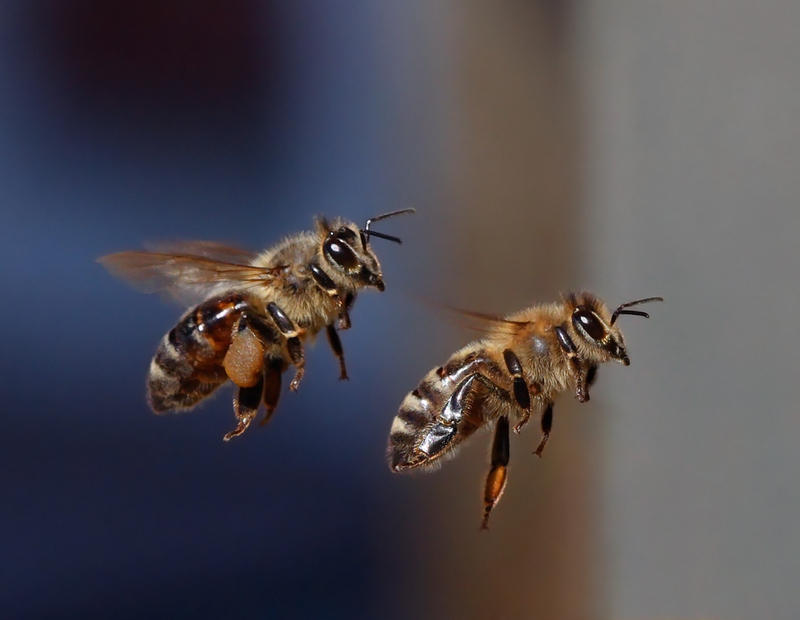 Western honeybees in flight. Photo by Waugsberg. Bee collecting pollen. Photo by Jon Sullivan. 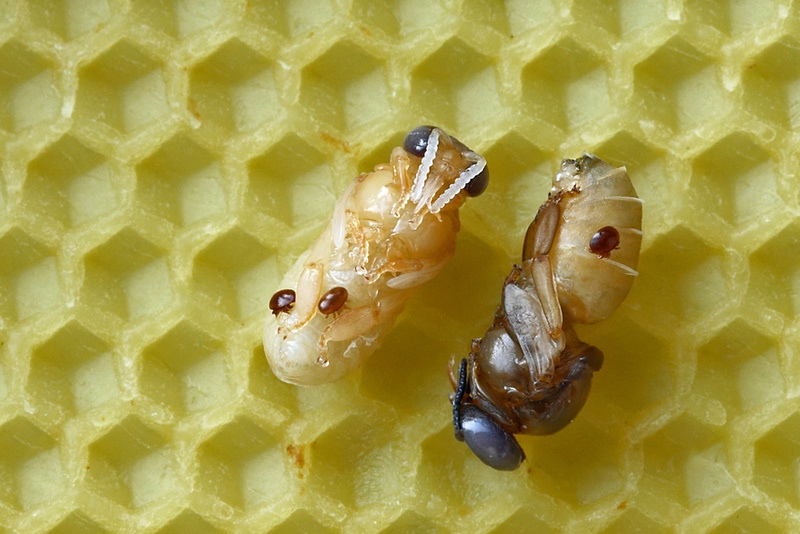 Two Western honeybee drone pupae with varroa mites. Photo by Waugsberg. Of the more than 20,000 bee species in the world, including native species, 2,000 are native to Mexico and depend on specific local weather, vegetation and forest conditions. The main differences between the honey produced by Western and native species of honeybee are in flavour, production capacity and colony size. Honeybees native to Mexico form groups of between one and five thousand worker bees, while colonies of Apis mellifera range from 30,000 to 50,000 in size (hence their importance in pollination). Native species are easier to handle given that many of them do not sting. This way, small-scale beekeeping is less problematic for communities and cooperatives who rely on the income from resultant products that are distributed in food stores and sold to pharmaceutical and cosmetic firms. However, most of Mexico’s economic activity in the sector is concentrated on Western beekeeping. Rémy Vandame is a researcher specializing in bees at Mexico’s El Colegio de la Frontera Sur (ECOSUR). ECOSUR’s activities include research about bees’ current situation in Mexico, including risks and new constraints affecting their health and ecosystems. 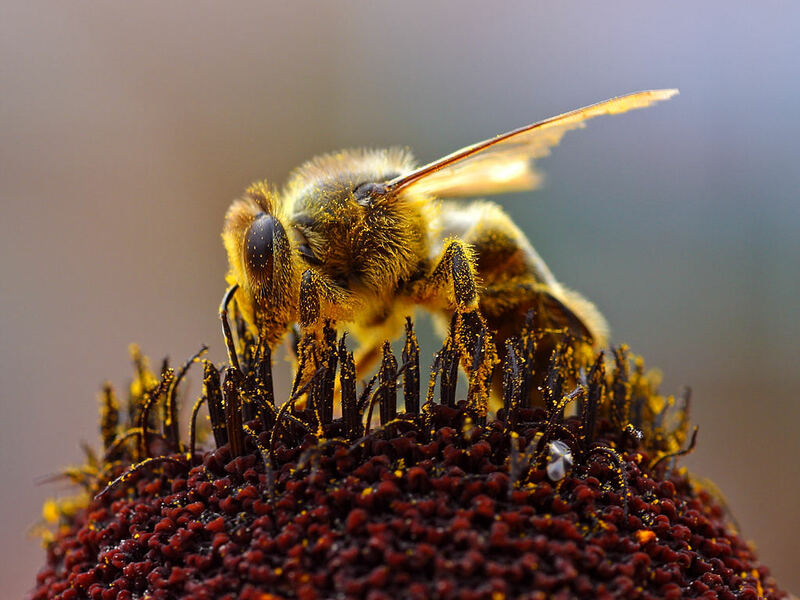 According to Vandame, Mexico’s Ministry of Agriculture has focused its actions on the establishment of bee health programs (for example, to eradicate pests like the Varroa mite, named as a contributing cause of CCD) and to date the results have been positive. However, as Vandame points out, many challenges still exist. Vandame recommends that activities include cataloguing native species, over which government agencies have traditionally had no control, and determining the extent to which these species are being affected by global warming. Furthermore, Vandame believes that the National Forestry Agency needs to focus more on protecting ecosystems as a whole. Reflecting this need, ECOSUR’s future work will centre around evaluating overall land use, strengthening institutional frameworks and establishing policies on agrochemical use that preserve, rather than disturb, natural vegetation. There are also many other efforts taking place in Mexico, particularly in the south of the country. Pronatura is a non-governmental organisation working on ecosystem preservation in the State of Veracruz. This organisation provides environmental services for coffee, orange and vanilla plantations as well as other wild forest species, which feed bees. Up to now, Pronatura has supported producers through training, provision of technical advice, analysis of honey types and botanical classification. It has also been working on conservation activities, such as reforestation of local trees and taking care of mangroves, oak forests, tropical forests and coffee plantations. According to the NGO, climate change is affecting the periods of rain, fog, humidity and flowering, and therefore honey production. “It is necessary to link the theme of forests and bees in Mexico and develop beekeeping ecological reserves, as in Africa, in order to provide space for sylvan honey production and preserve local cultural practices,” says Aníbal Ramírez, Pronatura’s coordinator of eco-forestry projects. Pronatura, in collaboration with the Universidad Nacional Autónoma de México, has identified the species from which honey can be obtained and is currently developing projects that aim to breed these species and increase the volume of nectar available to bees in the field. Project goals include mapping the different types of honey in the Gulf of Mexico region, developing denomination of origin standards from Tamaulipas to Tabasco, increasing production plants, fundraising and raising awareness about the research done to date. Finally, Pronatura aims to integrate producers from three municipalities of Veracruz where biological and cultural wealth contrast with poverty — Zongolica Mixtlan, Altamirano and Los Reyes — to fair trade networks in order to boost local incomes. Providing a slightly different perspective, Toks Restaurants, a Mexican enterprise affiliated to the UN Global Compact Program, has integrated “productive projects” to support communities as part of their corporate social responsibility (CSR) approach. As part of this programme, an indigenous Amuzga community is producing honey for the chain. The company buys this product under a fair trade scheme and uses it at its restaurants, as well as selling it as a final product. This strengthens the community’s capacity by enabling beekeepers and their families to earn a sustainable livelihood. At the same time, Toks encourages urban consumers to take part in socially responsible practices in a simple way, and reintroduces them to local artisanal food products. What is happening in Mexico is a reflection of what is happening all over the world in response to concerns about declining bee populations. The Ginza Bee Project in Tokyo, Show Me the Honey in California and the Bumblebee Conservation Trust in London are examples of the different approaches that citizens and organisations are taking to protect bee populations. Vandame and many others agree that the way in which citizens can participate is as consumers. Consumers can increase their awareness of what kind of products they consume and the environmental, economic and social impacts of their growing, manufacturing and transportation. In Mexico and beyond as we have seen, NGOs, governments and educational institutions play an important role in ensuring that society does know about the bee problem and can do something about it. Protecting Native Bee Populations in Mexico by Gabriel Nieto is licensed under a Creative Commons Attribution-NonCommercial-ShareAlike 3.0 Unported License. Gabriel Nieto is Markets Director at ALAS Boeki. He is specialized in Latin America and Asia and contributes with some magazines in Mexico and participates in development projects. Can We Feed Our World Without Monsanto? 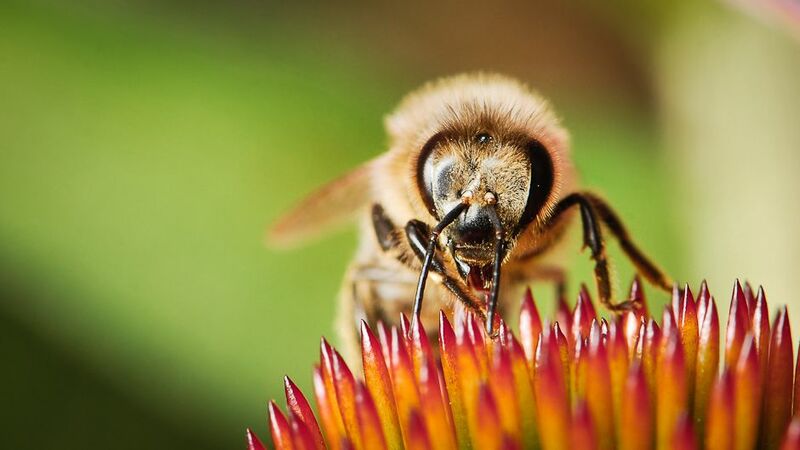 Wow, fantastic bee photos! As a major fan of honey, I’m very pleased to read this. Yes, many thanks to Gabriel for this great contribution. Glad you like the photos Alan – my childhood fascination with insects seems to be ever-enduring. And if you like honey, we’ve got a bottle of organic local chestnut on the go right now that would blow your mind! Tomorrow a.m. I’ll add an extra spoon on my toast in your honour. Very interesting article Gabriel, I’m really glad to read Mexico is part of this global effort!